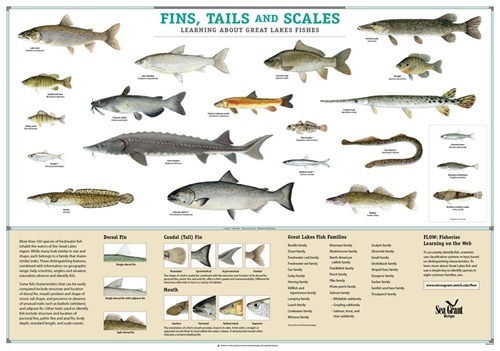 This pages offers resources and opportunities for learning more about the diversity of fish species of the Great Lakes region. Of national significance, the Great Lakes encompass more than 11,000 miles of shoreline and contain about 20 percent of world’s surface freshwater. The lakes are home to a diversity of Great Lakes fish species valued for their food and recreational contributions, ecological and economic significance. Food – close to 150 million pounds of Great Lakes fish were harvested annually at the turn of the twentieth century; these fish were consumed locally and also preserved by salt and ice to be shipped by boat, train and truck to help feed the growing populations across the country. Today, nearly 50 million pounds of fish are sustainably harvested for food. Fun –1.8 million U.S. anglers enjoy fishing recreationally in Great Lakes waters today. With Michigan bordering four of the lakes, it comes as no surprise that fisheries contribute greatly to recreational tourism from coast to coast. Economy – Great Lakes fisheries contribute $4 billion to $7 billion in economic value annually through fishing-related sales, commercial and charter fishing, community tournaments and coastal tourism. Ecology – at least 179 species of fish contribute to biodiversity and healthy Great Lakes ecosystems; and many ecological issues of the past, from water quality to invasive species introductions, remain as relevant and important today. 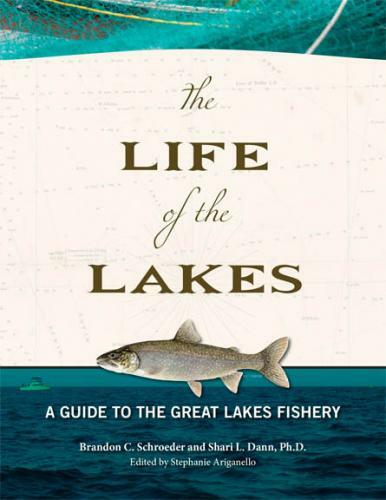 Learn more about the variety of valuable fish species of the Great Lakes region! A journal article from American Fisheries Society describing four Fs of Fish. Guide book exploring Great Lakes invasive species, including: What they are, where they are found, and what you can do related to this issue. A book about ecology, issues, and management of the Lake Sturgeon.